One of the major complaints about Spotify is that their payout system makes it incredibly difficult for musicians to actually earn any profit. But a growing mountain of evidence points to the fact that one or more scam artists in Bulgaria have figured out how to use Spotify’s system against them to make, what can reasonably be called, a shitload of money. 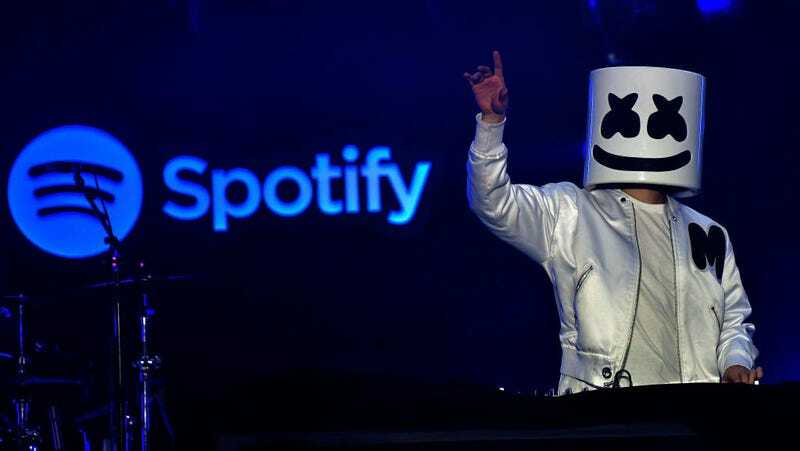 According to a report from Music Business Worldwide, the scammers accomplished this not by publishing their own music and hoping people would enjoy it, but by curating garbage playlists that inexplicably racked up millions of listens. Industry insiders first realized something was up when two suspicious playlists started appearing on the confidential global chart that tracks which playlists are getting the most listens and thus earning the most revenue. With generic titles like “Soulful Music” and “Music From the Heart,” these two playlists each contained hundreds of random songs—most of which were only around 30 seconds long—that each had codes linking them to a someone in Bulgaria. What’s more, these seemingly random playlists didn’t even have that many monthly listeners considering how highly they were placed on the top-earners list. For a playlist like “Soulful Music” to be making as much money as it was, its 1,200 monthly listeners would have to be listening to its 467 tracks on loop. This is where the lucrative nature of the scam becomes readily apparent. MBW estimates that if 1,200 fake premium accounts (which would cost roughly $12,000 to set up) were to listen to 30-seconds of each track in the “Soulful Music” playlist on a loop, all day, every day, they would end up earning $415,000 a month in revenue. The craziest part is, nobody knows how long this was going on before they caught it, meaning someone in Bulgaria may have been pulling down millions in Spotify revenue. “We take the artificial manipulation of streaming activity on our service extremely seriously. Spotify has multiple detection measures in place monitoring consumption on the service to detect, investigate and deal with such activity,” they said. Check out MBW’s full report here to get real angry that you didn’t think of this first.